"Nana! What do you use for.....", "How can I do that....?" I'm frequently asked such questions and many more like these. . So I thought that putting together a list of all my favorite/best resources on a page would be valuable and super helpful! ​Personally, I believe tools are secondary to your growth as an individual or a business. "Nanso, if you start with the wrong technical base for your business, website and online presence, you're assured of a nerve racking, stressful and unnecessary struggles that could cause you your job or business. As I always say, let the technical aspect take care of itself so you can really focus on what really matter to your business. All you need to do is start with the right setup. Disclaimer: Some of the links below are affiliate links. This means that if you buy one of them we will receive a commission for the sale. Nonetheless, we have and do use almost all the tools linked below. We highly recommend them because we find them too useful to ignore, regardless of how much we get. Also make sure that you need these tools to achieve your goals, don't just spend your hard-won resources on things you don't need. 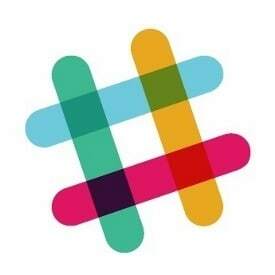 These tools are must have’s for anyone who wants to succeed in the ever growing 'blogosphere'. If you’re a serious web developer/designer, marketer or an entrepreneur, these resources must be in your toolbox. Obviously, they constitute the base of Twitechy and our business would be radically different without them. With these you will be able to put together a fast and high converting website/blog with specially designed, automated marketing and lead generation machine for your business or client. I'm starting with books because of what they've done for me and to me. In fact, Books have made me! 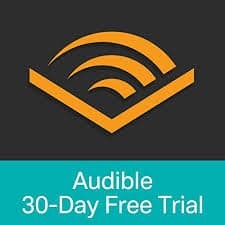 You can sign up for a free 30-Day trial if you haven't tried Audible before. With an Audible subscription you have access to over 750000 titles in audio-books, spoken word and magazines. With Audible, you can purchase a digital audio-books and listen to it on a compatible tablet, Kindle reading app, or Audible app on tour phone or computer. I always cancel before the 30day period and I get to keep the books for free. Do same if you're not ready to pay. However, I highly recommend making books part of you by paying. You'll be amazed. It's rather unfortunate that Amazon and many online retailer's don't ship to Ghana. But as digital marketer, there's always a way. Which way you may ask?. With Viabox forwarding, you're given a legitimate free US address where you can direct or deliver your shipment to their warehouses in the US. When you're done with your sourcing or shopping, Viabox then forward your shipment to you through an international courier like (FedEx or Aramex) to Ghana. That is how I shop from Amazon and online. 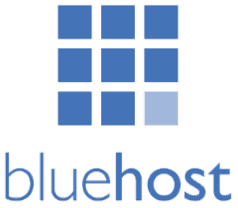 Bluehost is an easy-to-use and extremely affordable hosting platform. Bluehost make it easy to get a new site up and running with their one-click automatic WordPress Blog installation. With your Bluehost account, you can host multiple domains which means you don’t have to pay more for hosting when you want to start another website. Superb customer service! 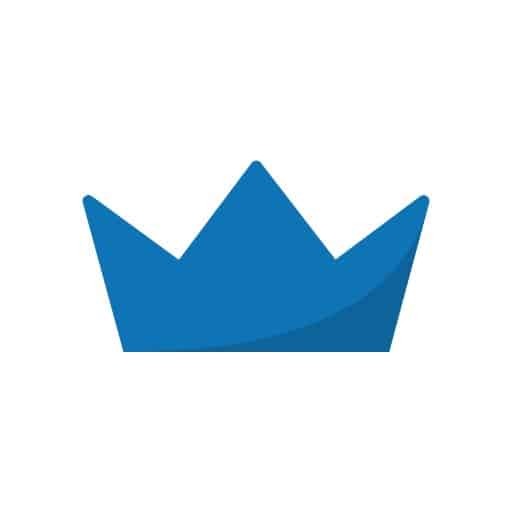 I highly recommend using Bluehost for your website, and you can get started now at only $2.75/month, which is an exclusive deal you can only get here! 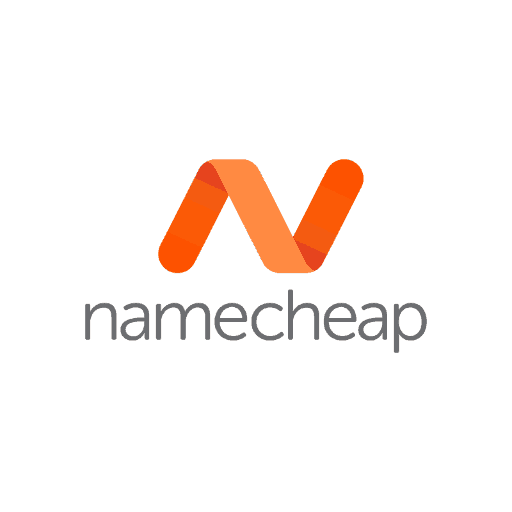 We register all our domains on namecheap.com, with their easy to use website interface, domains as the name says are cheap. You can also register your ssl certificates and host your emails with them. Namecheap have added web hosting services to their awesome products. Guess what! I’ve started exploring the huge opportunities there as well. Why? Because they are dead cheap. Anyone can buy it. I highly recommend Namecheap. Gleam is so far the best contest/giveaway tool on the market today. We continue to explore it's capabilities till thy kingdom come. So you would want to start a website/blog right? Then you will need to register a domain name and rent a server to host your website. This is the foundation or base of your online business if I could call it so, but no worries ”mensuro”, it's quite cheap. Our recommended tools/services are not necessarily the cheapest but they are offer the best value for money. 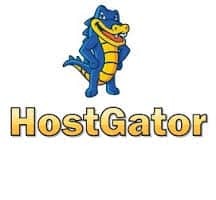 Hostgator - One Cent For Your First Month! Whether you are a seasoned Internet pro, or just starting out with your first website, Hostagor is an easy-to-use and extremely affordable hosting platform. Web Hosting Made EASY And AFFORDABLE! Use Hostgator for your website, you can get started now at only 0.01penny/month, which is an exclusive deal you can only get here! 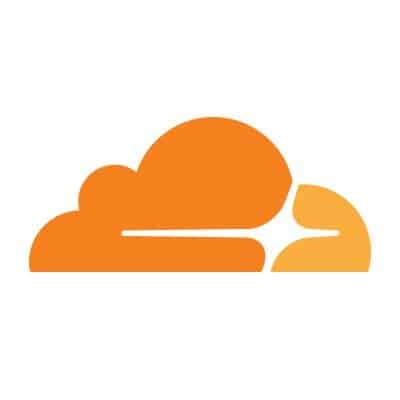 Cloudflare - (Freemium)Cloudflare CDN service is an excellent add on to your siteground hosting, especially because it's free. 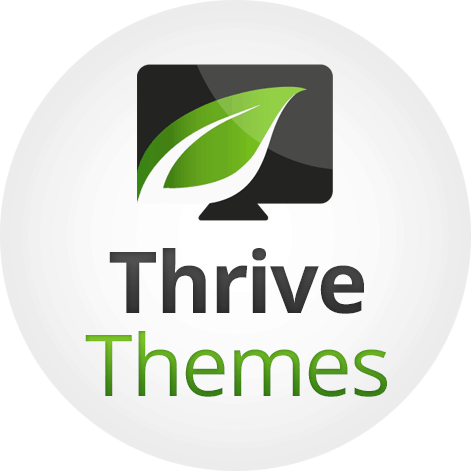 Thrive Themes - We use the entire Thrive framework for our own sites (this site is built on Focus Blog). The themes are optimized for conversion and speed while giving you the tools you need to run your marketing fast and easy. 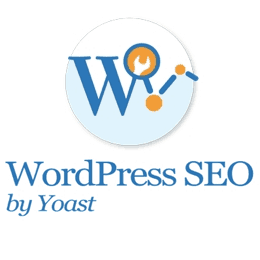 WordPress plugins allow you to add functionalities to your site, to you can install in just a few clicks and can save you a lot of money in development costs. They're easy to configure. However, note that more of everything is bad. Less is better. You may be deceived by the plethora of plugins available and install a multitude of them. They’ll only make your site slower and some unguided free once also contain malicious codes that can either steal your personal info or destroy your site. I recommend you buy a premium theme if you’re really serious about what it is you do. However, if for reasons best known to you, a learner or for development purposes - you prefer a free theme: look at these once. UpdraftPlus has secured all my wordpress blogs and websites over the years with daily backups to my email and its absolutely FREE!is the world’s most trusted backup plugin used by over 1 million WordPress sites, including by the NBA, P&G and Microsoft – Don’t wait to say Ouch… Ma wu ! 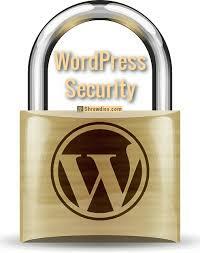 forthen, it to be too late with your WordPress website! 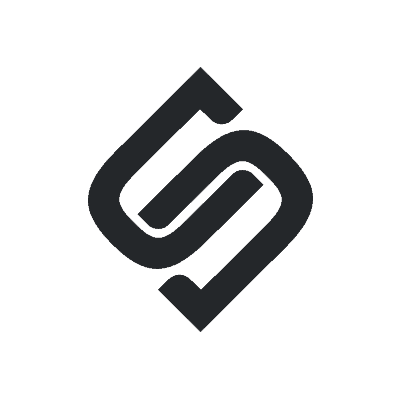 Sumome is a collection of useful tools to help you optimize and grow your website's engagement. With services such as email captures, heatmaps, contact forms, analytics integrations, share buttons etc. you can't go wrong with Sumome. Check the free version out - it doesn’t hurt having it in your arsenal of tools. The best affiliate link management plugin on WordPress. 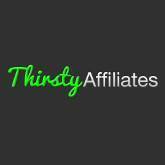 Thirsty Affiliates allows you to organise, track and conditionally redirect your affiliate link clicks. This is one of these plugins you should install on day 1 of your site so management becomes much easier. Wow! This awesome plugin does just what i want it to do. So every WordPress dashboard only needs toyour URL/wp-admin to login. Its literally the key to your dashboard.What this pretty plugin does is that - it remames wp-admin to a customized login extension of your choice. Its that simple.And so Mr.Hacker all my website has no wp-admin extension but ………. Guess it! I highly recommend this plugin. And it is easy to setup.I have heard great things about Wordfence - im yet to see its magic. Just installed it on one of my sites. 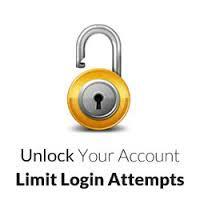 Limit Login Attempts blocks an Internet address from making further attempts after a specified limit on retries is reached, making a brute-force attack difficult or impossible. It helps to protect you from those who keep trying to hack your site by logging into your website with different passwords. Google apps or G-suite is the best way a business must host and deliver emails and company documents. However , Google has spoiled all of us with its free apps. 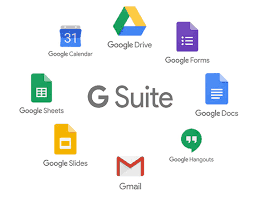 A G-Suite account gives you 30GB of storage, gmail, google docs, calendars and all the Google productivity suite. People don't really care about the benefit of using G-Suite. In fact, it make life more easier, clean and most of all make your business look more professional. They offer a 14day free trial . 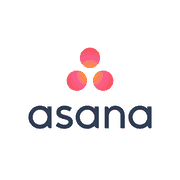 Sign up Now for a 20% discount with these promo codes V6NEMW4LKGTVLA3 and F6RNUFAVEY9XEAV. Let me discriminate here. 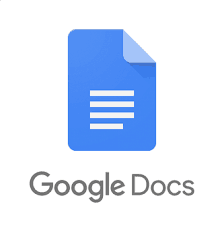 I’ll take one of the many Google apps in the G-suite box and brag about it.In fact, i just started using Google doc lately and oh mine, its great. its now my preferred distraction-free word processor that I use to write anything. Who thought i could ditch Ms Word. So Google doc is online based, so it saves as you type whatever you’re writing. There is an offline Chrome extension too. .It’s the best and easiest way to write and keep track of my content. And it’s free! 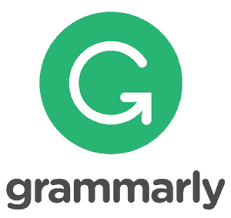 Grammarly is spell-check browser extension. Through my browser, anything I write automatically goes through their database of spelling and grammatical checks to make sure I write properly. 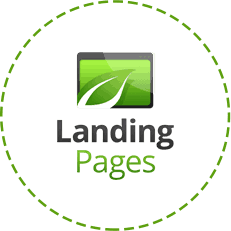 Thrive landing pages lets you create flawless, high-converting and extremely polished looking pages that take your visitors all the way from initial signup to purchase, product download and more.​ Unlike most other landing page systems it's a one off payment instead of a recurring monthly payment making it the best value for money tool in terms of landing pages! 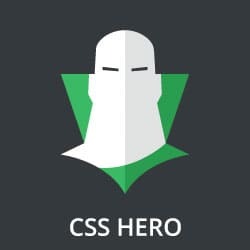 It also comes with over 162 Templates Currently Available in the Plugin. I am using the whole thrive membership stack and this plugin is graciously included. I pray you understand me here because most Ghanaians developers and web designers don't. Gone were the day we built brochure website which gather dust ion the internet like an opened newspaper. Ideally, a properly designed website today should be a business machine for that matter. It should be generating leads, sales and revenue to the owner. If it isn’t, that's a brochure website. I feel like throwing up when i see that.In fact, the main goals of your website are to generate leads and to generate sales. Anything that helps it do better in either of these is worth investing in. Here are my preferred tools for generating leads. 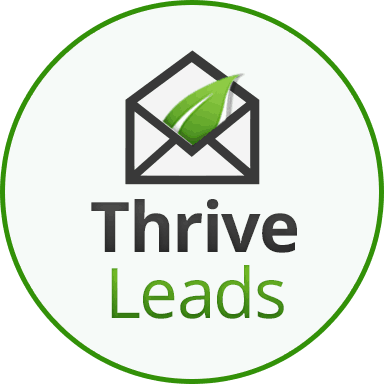 Thrive leads leads you to a world of qualified lead generation on your site. Opt ins, pop ups, content upgrades, Opt in forms, slide boxes, hello bar types opt in, what have you, just name it. And again its part of the thrive themes membership stack for free. Buy it on its own if you cant afford the awesome membership. Gleam is the best giveaway tool you could find today. 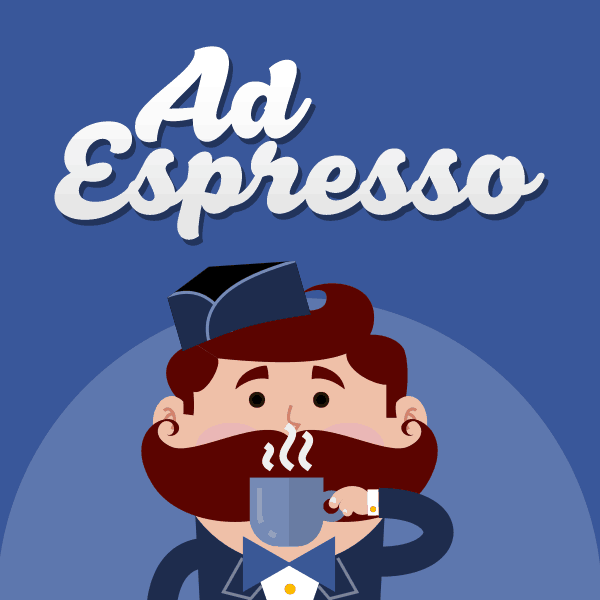 We have used it for so many contest so far by giving away lots of prizes and promoting with social ads + affiliates. Social media marketing is crucial in today's world of business. However, saying that it is time consuming will be an understatement. For that matter, it becomes very necessary to find smart ways of maximizing your personal effort and that of your business as well. Smarterqueue is great for those of you who want to automate social media for good. Each time you recycle a post, it will be seen by new parts of your audience. This means you can easily get up to 10x more likes and shares than posting just once.You can easily choose whether a post should be published just once, or recycled, and for how long. 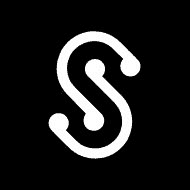 Snip.ly is a bit of a sneaky social media tool that allows you to share any piece of content and put your call to actions on top of that content. They say an image says a thousand words. multimedia as a whole cannot be separated from business tools, our marketing efforts and our lives. Its inevitable. Taste, preference and variety of people calls for different content. If a text does not do the job, a video walk-through may be the answer. If a video is too much, an image may be enough. Moreover, including these various kinds of media does not hurt your final delivery. It only make it better, clearer and lively. This is the screen capture software for Mac user. 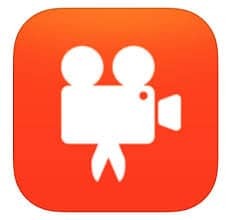 IOS junks rely on it to create high quality, hi-res and clean tutorial videos.. It’s a great teaching tool. The PC version of screenflow for PC users.This is the screen capture tool I would recommend to anyone who wants to take video marketing serious. It offers many or the same features as Screenflow, but designed for PCs. 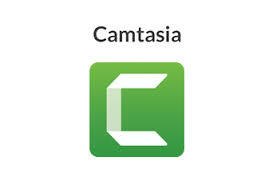 If you’ve watched any of the video walkthroughs on twitechy TV, then you’ve seen what Camtasia can do. I use it to create all my walkthrough videos to teach my audience. You don't need a DSLR, Camcoder or some expensive video camera for your simple video's. Only if you can afford those tools. This HD webcam is all you need to become a professional youtuber like you see online. Self-expression knows no bounds with C920. 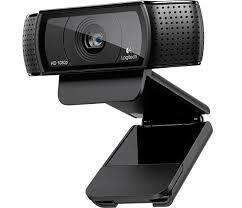 Video chat on Skype in full HD 1080p or record vibrant true-to-life full HD 1080p video blogs. You can game stream, share, rant, rap, sing and dance live in high-definition 720p. Don't depend on the audio it produce, put it off. Use one the external USB I've recommended in this list. Compatible with: Windows 7, Windows 8, Windows 10 or later. Works in USB Video Device Class (UVC) mode: Mac OS 10.6 or later .Chrome OS,Android v 5.0 or above (with supported video-calling clients),USB port,Internet connection. You see this mic here, connected to your laptop and become a pro podcaster at below $100. The first mic I bought. The quality is incomparable to anything. You see those tiny mic's hidden in the top buttons of interviewee's and video creators. Connected to the Zoom H1 recorder and a genius is born. Great for professional youtuber's and creative individuals like you. 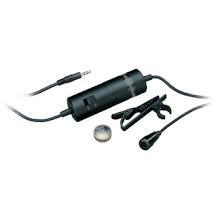 Audio-Technica's newscaster-style omnidirectional ATR3350 lavalier is engineered for intelligible, accurate voice reproduction. This high-quality condenser is ideal for video use, and is a favorite choice for aerobics/dance/sports instructors. Its low-profile design assures minimum visibility. This is the industry standard for podcasting. 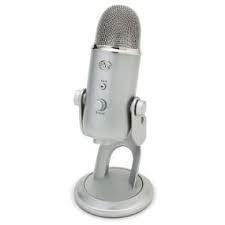 Almost all the great podcasters use this mic here. Create unparalleled recordings directly in your computer with Blue Microphone's Yeti USB Microphone. The Yeti uses Blue Microphone's proprietary tri-capsule technology to produce pristine, studio-quality recordings. It features four different pattern settings so you can record vocals, instrumental music, podcasts, or interviews in ways that would normally require multiple microphones. With simple controls for headphone volume, pattern selection, instant mute, and microphone gain, you'll be creating exceptional recordings right out of the box. Compatible with Windows 10, Windows 8 (including 8.1), Windows 7, Windows Vista, Windows XP (Home and Professional), and Mac OS X (10.4.11 or higher), and requires a minimum of 64 MB of RAM(remove existing and upload). Holy Molly! 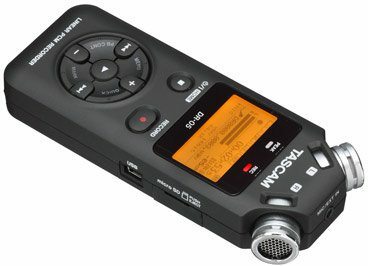 What this small recorder can do for your life. I use it for my youtube videos, interviews and podcast. I just can hide this secret sauce anymore. Good things come in small packages. The ultra-compact H1 is tiny enough to be slipped into your pocket, yet it delivers big sound. It's perfect for capturing song ideas and documenting lectures and meetings—a whole lot faster and easier than taking notes! 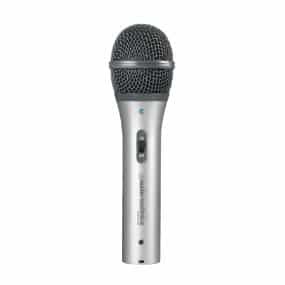 With its built-in stereo X/Y microphone, Auto Level control, and low cut filter, the H1 is also ideal for recording interviews, live concerts, and band rehearsals. This recorder is ideal for would-be youtuber. Your creativity is your limit. TASCAM’s DR-05 brings high-quality stereo recording to an easy-to-use portable powerhouse with a size and price that anyone can handle. The DR-05 records in MP3 or WAV format to a microSD. A pair of all-new microphones handles up to 125dB SPL with the sensitivity to capture every detail. With new recording features the DR-05 puts album-quality recording in the palm of your hand. 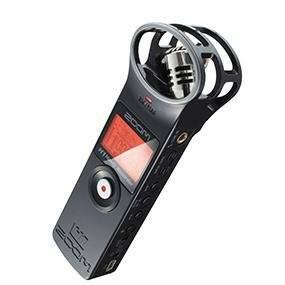 Premium-quality Sound Everything about the DR-05 is designed to get the best quality recordings of your videos, music and interviews. We hope you enjoy using the "best resources page and library" in your business. We know our readers will enjoy the content we've can provided here!